Another Wednesday, another link up with Ginny and the Yarn Along. I’m working on yet another Minecraft Blanket square. 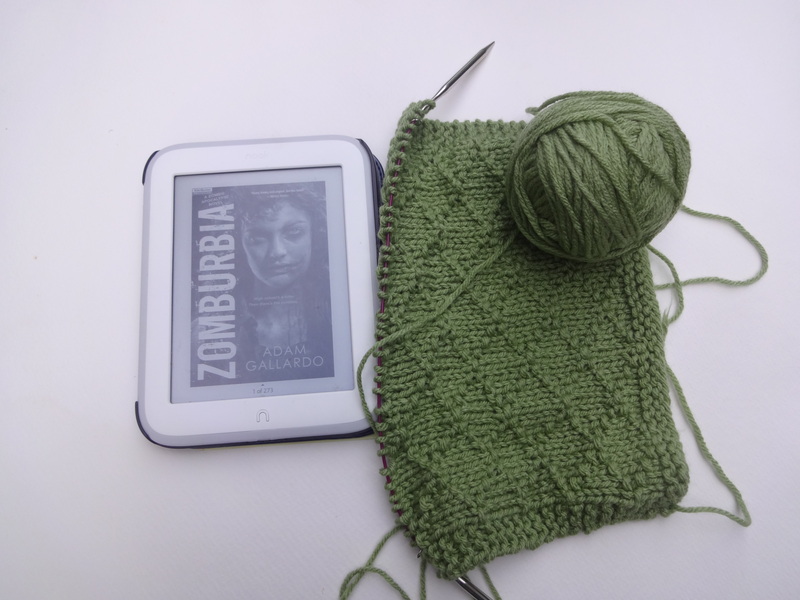 I’m reading Zomburbia by Adam Gallardo. I should probably count up how many squares I’ve done. I’ve got them all in a bag somewhere. I need to print out the pattern again and put that in with the squares so I can mark off what I’ve knit. I shipped off the Dinner Mint sweater (that’s what the colors remind me of), so that should be keeping someone warm soon. 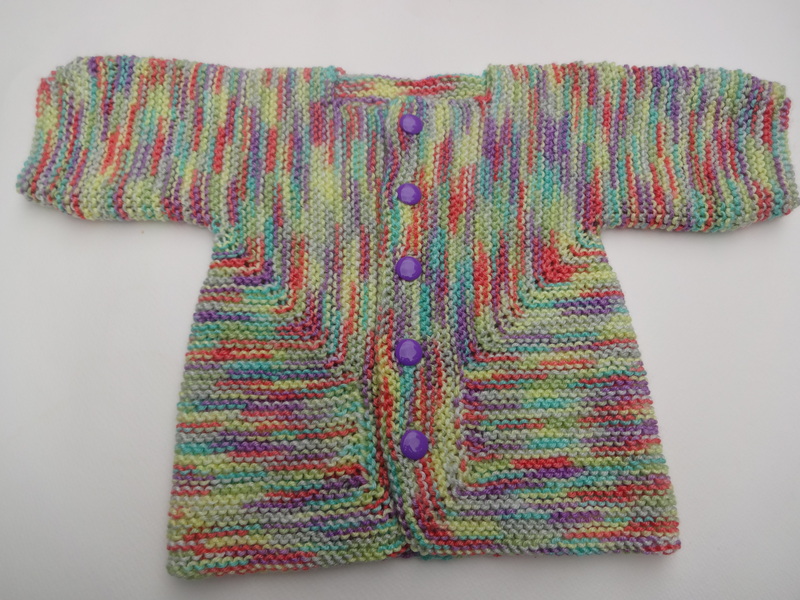 That’s a Baby Surprise Jacket, knit out of Ella Rae Cozy Soft Prints (color 15). Purple buttons were the best choice – I couldn’t find good matches for the other colors, and white/cream didn’t seem to be quite right. What are you working on? Read any good books lately? This entry was posted in Knitting, yarn along. Bookmark the permalink.